Polly is a wonderful Pagan that took our local community by storm with her keen intellect, irascible humour, and spiritual insights. 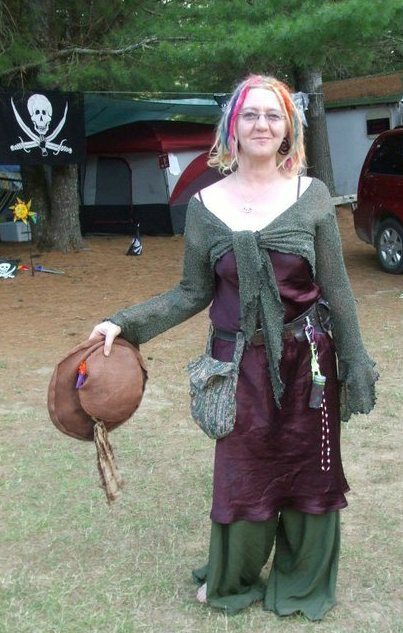 She writes a great blog called “Another Witches Blogg.” Everyone who met her wants her to come back again to visit! 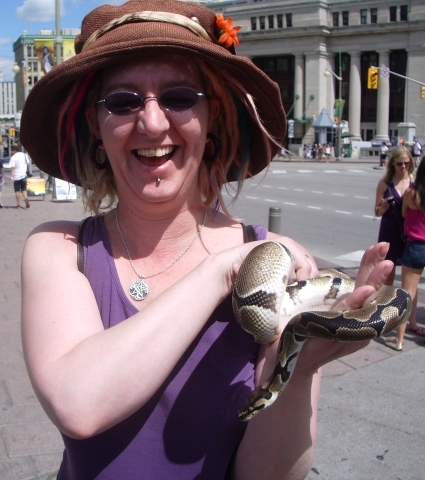 In her words, here is her story of her adventures in Canada in 2011. 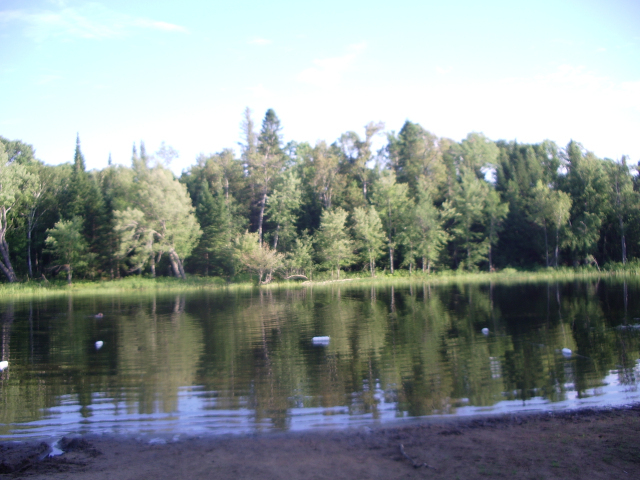 In late July 2011, I was in Canada, and I very much wish I was back over there. You see I went to Canada to go to a Pagan Festival. Little did I know that the interesting Pagan festival I heard about via the podcast Standing Stone and Garden Gate was organised by an old friend of a Canadian friend of mine who now lives in New Zealand. So when I proudly announced that in a years’ time I would be winging my way to Canada to attend a Kaleidoscope Gathering Pagan festival of awesome, Bron blithely piped up that her friends organised that and that she could put me in contact with them. Wow! What an excellent start. The time from that announcement to the arrival in Canada was a bit of a trial, redundancy, temp work, decisions about whether or not I should be spending all that money to go over there. I had saved around $5,000, which is a lot of money, and when you don’t have a job … even more … decisions, decisions, decisions … A lady at work was the one that said I would regret not going cause it was an excellent adventure. Thus, off to Canada I went. When I finally arrived in Ottawa, I was meet by the lovely K. with hugs “Yay!” … Then I was whisked away to Badger’s house to stay for a couple of days, and explore Ottawa guided by Badger. OMG, squirrels!!!! So exciting; and this is what made me purchase a fancy camera when I got back to New Zealand. 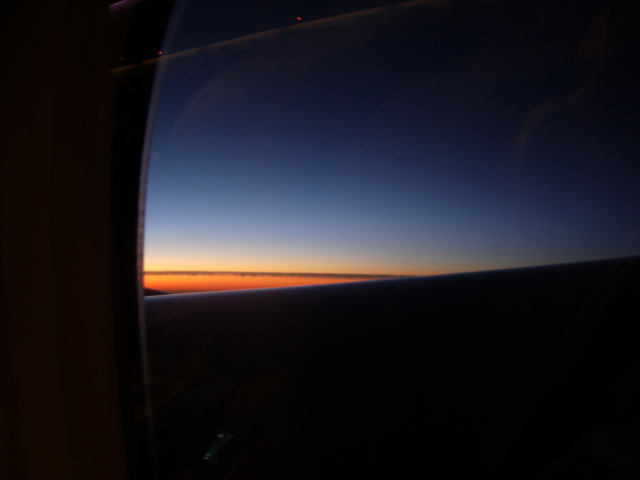 … ‘cause I couldn’t get close enough with my little digital camera. Badger was showing me the locks on the Ottawa Canal, but when I turned around. … Then it was OMG snakes!! So very, very cool! I do believe this was a face I pulled a lot during my stay in Canada. A short drive out of the city and “Hey presto” a Pagan Paradise was found. As we entered Ravens Knoll I was greeted with the site of a Monster truck with a bunch of wild children chasing after it. There was Crazy Dave with ice blocks which he was handing out to said Wild Children. Actually, throughout the festival packs of happy Wild Children could be found and heard racing through the trees, as they hunted gnomes, a part of the children’s programming. How cool was that! My camp site? 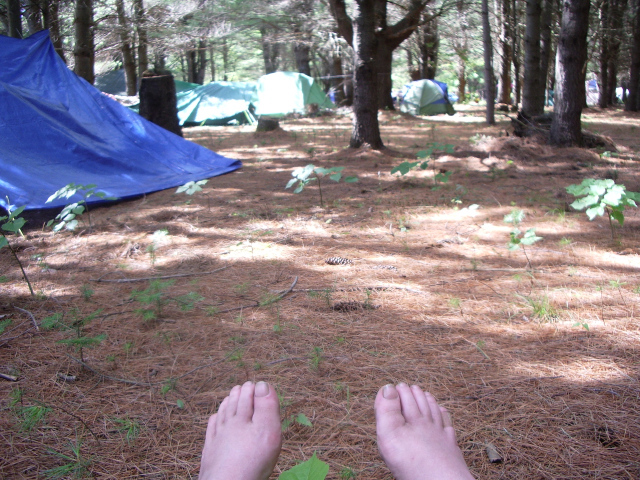 That blue tarp to the left is where my wee tent was pitched. 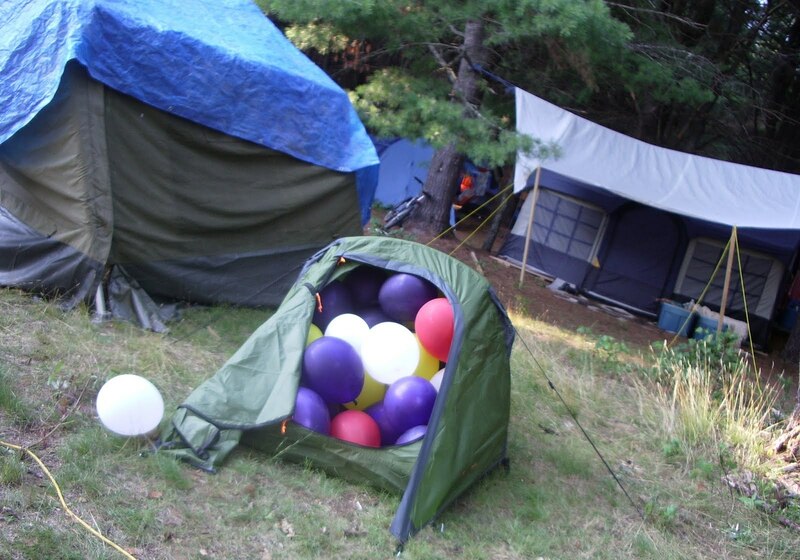 It was wee, but there was one other smaller tent, which may of been filled up with balloons. There is this thing at KG … *shhh* its secret … and it’s called shenanigans, where people play fun tricks on one another, the above was retaliation for our Australian living Canadian Pagan who had snuck back into the country by hiding in my baggage as I went through Australia, luckily she did not find my stash of Whittaker’s Chocolate or there would of been more trouble. Then there are the Vikings and Pirates … Oh, and Ninjas (but nobody has seen them). This Canadian Pagan rode about on his bicycle with horns. How cool is that?! He had many wonderful costumes. It was awesome! 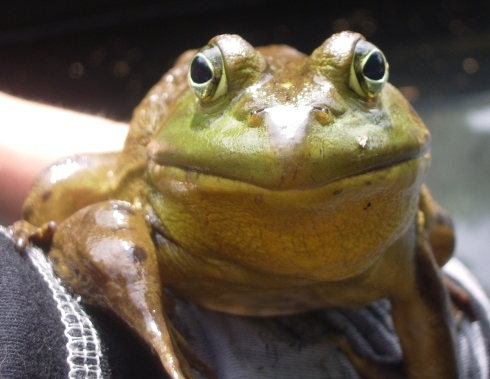 This is a frog one of the Wild Children in our camp had caught. It was awesome and huge. I loved the wildlife in Canada, so different from New Zealand, which are mostly birds. In Canada I got to see squirrels, groundhogs, osprey, and a chipmunk, which I saw in a garden on top of a mall thanks to the lovely Juni who I enjoyed spending time with after the Fest. Hooray! 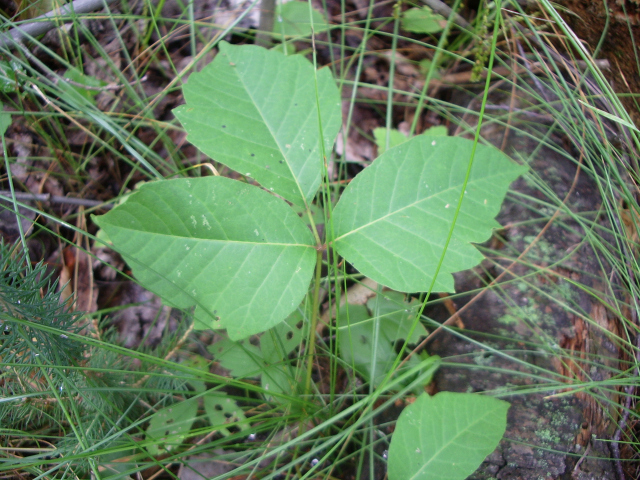 There is a chipmunk that hangs about the YAG, but he was difficult to see, I was looking for something bigger. *Laughs* They are kinda mouse sized. Drunken Gnomes! Wheee! 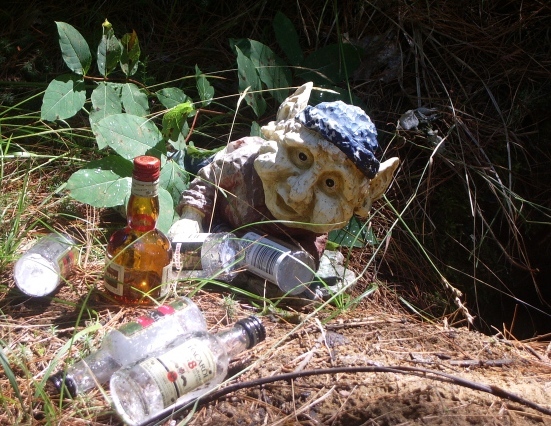 What’s a Knoll without its drunken gnomes? Raven’s Knoll is filled with interesting things to find if you just take the time to wonder about. Watch out for “the Zombies” though. Mmk … they can party with the best of them! 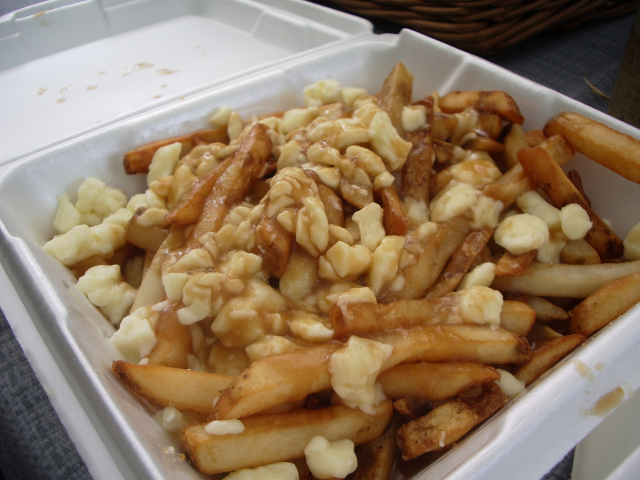 OMG, NOMS the best thing ever is poutine; chips, cheese curd, and gravy. The best thing! Oh so yummy! Although I have to say it did take me at least half an hour to learn how to say poutine without sounding like I was saying something rude. *grins* I had good coaches. Whee! I got to try a bunch of new and good foods in Canada. I believe apart from poutine my favourite was trout, cooked by the lovely people I was staying with. Most excellent!! * This a footnote: Wondering about the awesome clothes Polly wears? She makes them herself! Feel free to order from her. She posts them across the Pacific.